The bidding process of UEFA Euro 2024 ended on 27 September 2018 in Nyon, Switzerland, when Germany was announced to be the host. Two bids came before the deadline, 3 March 2017, which were Germany and Turkey as single bids. Press agencies revealed on 5 November 2014, that the European football governing body UEFA will decide on the host of Euro 2024 in 2018. The bidding concept for UEFA Euro 2024 was ratified on 9 December 2016. For the first time ever, bid requirements must contain specific criteria relating to the respect of human rights, based on the United Nations "Guiding Principles on Business and Human Rights". The tournament is expected to continue the format of the 2016 and 2020 editions, with a total of 51 matches taking place for a duration of up to 32 days, with 24 teams competing in the tournament. UEFA announced that only two countries, Germany and Turkey, had announced their intentions to host the tournament. On 21 September 2018, UEFA published its UEFA Euro 2024 bid evaluation report. The German Football Association and the Turkish Football Federation published also their respective bid book. On 23 October 2013, the executive committee of the German Football Association (DFB), under president Wolfgang Niersbach, had voted to place a bid for hosting the tournament. This was announced publicly the following day on 24 October 2013 at the 41st DFB-Bundestag in Nuremberg. On 20 January 2017, the DFB executive committee under president Reinhard Grindel unanimously confirmed the bid for UEFA Euro 2024. On 1 March 2017, the DFB submitted an official declaration of interest to UEFA General Secretary Theodore Theodoridis. Previously, UEFA Euro 1988 had been held in West Germany, as well as the 1974 FIFA World Cup and the 2006 FIFA World Cup. German media has also reported that the DFB was willing to let Wembley Stadium host the final for UEFA Euro 2020, in return for support from The Football Association for Germany's 2024 bid. Until 17 February 2017, cities and stadiums interested in hosting the tournament were able to submit a non-committal statement of interest to the DFB. By the deadline, 18 cities and stadia had submitted the necessary documents, including the 12 hosts of the 2006 FIFA World Cup. The DDV-Stadion in Dresden was the first stadium turned down on 1 March 2017, as it failed to meet the mandatory capacity of 30,000 seats. The formal application procedure began on 11 April 2017, with a total of 17 potential venues requesting bidding documents. The city of Freiburg im Breisgau withdrew its bid on 25 April 2017, citing that the guidelines announced by the DFB would not result in a promising application for the stadium. On 26 April 2017, the city of Karlsruhe withdrew its application. A total of 15 cities expressed their interest in hosting by the 26 April 2017 deadline. The Fritz-Walter-Stadion in Kaiserslautern later withdrew its bid on 15 May 2017 due to "irresponsible financial risk", leaving 14 cities remaining. According to UEFA requirements, stadiums must at least have a capacity of 30,000 seats publicly available seats (not including media seating and places with a restricted view). The cities of Freiburg im Breisgau and Karlsruhe planned their bids with respective new stadia. The full application documents for the cities had to be submitted to the DFB by 10 July 2017. This date was originally 12 June 2017, but it was postponed due to a delay in receiving documents from UEFA. All 14 remaining cities submitted their applications to the DFB by the deadline. The DFB's application committee evaluated the submitted documents in the following weeks. In addition, as of the end of July 2017, the DFB visited all 14 stadiums in order to take into account the conditions and examine the possible reconstruction and expansion plans. The selection criteria used for the venues was primarily the stadium capacity. In order to allow as many spectators as possible for the European Championship, the DFB increased the net seating capacity required by UEFA for three stadiums from at least 50,000 to at least 60,000. Other criteria include security aspects and infrastructure. On the basis of these qualitative criteria and the application documents of the cities, a ranking of the applicant venues was established by the DFB's application committee. To ensure that the European Championships take place throughout Germany as a whole, a regional classification of the applicants was carried out in four zones spread across the country. From each of the four zones, one to four stadiums may be chosen. Zone I (north) includes Bremen, Hamburg, and Hanover. Zone II (west) was assigned to Cologne, Dortmund, Düsseldorf, Gelsenkirchen, and Mönchengladbach. Zone III (south) includes Frankfurt, Munich, Nuremberg, and Stuttgart. Zone IV (east) includes Berlin and Leipzig. The candidate cities have to make commitments to UEFA, for example, that within the "commercial zone" of 500 meters around the stadiums that political and religious demonstrations would be prevented. The cities also have to enact laws to protect UEFA's marketing rights. This includes preventing pubs near the stadiums from broadcasting matches on large screens. Wolfgang Hoffmann-Riem, former Federal Constitutional Court judge, considered parts of the requirements unconstitutional. First, interventions in the freedom of assembly are not allowed for commercial interests. Also, only parliaments, not cities, have the power to legislate. Finally, the ban on large screens in nearby restaurants is an unlawful interference of occupational freedom. The leaders of the city of Bremen shared these concerns, while officials in Hamburg and Leipzig did not see any concerns. However, the DFB responded that the UEFA regulations were to ensure safety and security around the host stadiums, and that cities are not required to enact laws relating to UEFA marketing rights. Taking into account all these criteria and conditions, the DFB executive committee selected the final 10 cities and stadia as candidate venues from the remaining 14 applicants on 15 September 2017. The executive committee unanimously followed the recommendation of the DFB bid committee, which had ranked the 14 applicants. Berlin, Cologne, Dortmund, Düsseldorf, Frankfurt, Gelsenkirchen, Hamburg, Leipzig, Munich, and Stuttgart were all selected, having been ranked from 1–10. The Max-Morlock-Stadion in Nuremberg, HDI-Arena in Hanover, Borussia-Park in Mönchengladbach, and Weser-Stadion in Bremen were all dropped from the final bid, having been ranked from 11–14. The zoning rule did not have to be applied, since according to the ranking no more than four and at least one venue per zone were ranked in the top ten. Until the end of September, applications for team base camp locations will be accepted by the DFB. Each of the 24 teams requires a base camp before and during the tournament for accommodation and training facilities. A team base camp consists of a hotel or accommodation facility with appropriate comfort, privacy, and safety standards as well as a nearby, first-class training facility. Good infrastructure is required around the base camp, including a nearby airport. A base camp is also needed for the UEFA referees for the tournament. On 25 August 2017, the DFB announced that the logo of the German application would be determined by a design contest on the "jovoto" platform. There, creative members submitted potential designs. A total of 2,076 designs were submitted by 990 participants from 82 countries. The community on the platform then selected 20 potential logos in a voting phase, with the DFB choosing 5 additional logos. The 25 proposals were evaluated by a jury consisting of DFB executives and experts from the design and communications industry, as well as representatives from the sports world, with the top 5 submissions being announced on 15 September 2017. An online vote on "fussball.de" took place from 15 to 22 September 2017 between the five remaining logos to determine the winning design which would be used for the German bid. The winning logo will be used on the "bid book" which the DFB will submit to UEFA, along with all communicative actions relating to the DFB bid. The winning logo was presented by the DFB on 7 October 2017, with 44% of the votes in favour of the draft by Serbian graphic designer Igor Petrović. The logo, which features two hearts and a "24" in the German national colors of black, red, and gold. On 14 November 2017, the DFB announced the official motto of the German bid: "United by Football – Vereint im Herzen Europas" (United by Football – United in the Heart of Europe). In order to show their support for the German bid, the German national team players wore badges on their kits with the German bid logo during the international friendly match against France in Cologne on the same day. The slogan, along with the bid logo, will be used in all communicative measures by the DFB in connection with bid. The official bid website "united-by-football.de" was also unveiled on 14 November. On 24 April 2018, the DFB officially submitted their bid book to UEFA. In April 2014, the Turkish Football Federation (TFF) announced they would not bid for the semi-finals and final for UEFA Euro 2020, but rather plan a bid for hosting UEFA Euro 2024. On 15 February 2017, the TFF confirmed Turkish bid. Turkey has only previously hosted one major football tournament, the 2013 FIFA U-20 World Cup. However, the country previously attempted to host the European Championship in 2008 (in a joint bid with Greece), 2012, and 2016, but failed on all occasions. On 20 October 2017, the TFF announced the venues for the Turkish bid following a meeting of the bid committee. The bid logo and slogan were unveiled on 19 January 2018. The logo is inspired by the heart with football and the star from the Turkish flag combined with the number "24" represents year 2024 and turkish national flag colors. The logo was designed by Turkish graphic designer Erhan Yalur. And Turkey announced the official slogan as Share Together (Turkish: Birlikte Paylaşalım) for the competition. On 26 April 2018, the TFF officially submitted their bid book to UEFA. The UEFA Executive Committee voted for the host in a secret ballot, with only a simple majority required to determine the host. In the event of a tie, Aleksander Čeferin, the UEFA president, would cast the decisive vote. Of the 20 members of the Executive Committee, Reinhard Grindel (Germany) and Servet Yardımcı (Turkey) were ineligible to vote, and Lars-Christer Olsson (Sweden) was absent through illness, leaving a total of 17 voting members. On 4 March 2016, the Danish Football Association announced preparation of a joint bid together with the FAs of fellow Nordic countries Sweden, Norway, and Finland for either UEFA Euro 2024 or 2028. Sweden has previously hosted UEFA Euro 1992, and Denmark is one of the 13 hosts of the 2020 edition. Stockholm (1912) and Helsinki (1952) hosted Summer Olympic Games. Unsuccessfully, the Nordic countries (Fennoscandia) joined forces to bid for UEFA Euro 2008, losing out to Austria–Switzerland. There were also just ten over 20,000+ seater stadiums which could host matches, and these are: Solna (final venue), Gothenburg, Stockholm, Malmö (Sweden), Copenhagen, Brøndby, Aarhus (Denmark), Oslo, Trondheim (Norway), and Helsinki (Finland). While not hosting any matches, related events will be held in Iceland and the Faroe Islands, too. However, the federations ditched plans to bid for the 2024 European Championship on 28 February 2017. In December 2012, it was reported that the Estonian Football Association were negotiating the possibility of a joint bid together with Russia. Russia hosted the 2018 FIFA World Cup. Moscow hosted the Summer Olympic Games, in 1980, when Russia and Estonia were part of the Soviet Union. Estonia has also hosted the 2012 UEFA European Under-19 Championship and will host the 2020 UEFA European Under-17 Championship. On 23 March 2012, Bert van Oostveen said, the Netherlands have plan to host Euro 2024. In 2000, the Netherlands and Belgium co-hosted the tournament. Cities would be Rotterdam (two stadiums), Amsterdam (two stadiums), Eindhoven, Heerenveen, Groningen, Enschede, Arnhem, and Utrecht (over 20,000 each with possibility to expand least to 30,000). Amsterdam hosted the Summer Olympic Games, in 1928. ^ a b c d e Host venue for the 1974 FIFA World Cup. ^ a b c d e f g h i Host venue for the 2006 FIFA World Cup. ^ a b c Host venue for UEFA Euro 1988. ^ a b "Germany to host UEFA EURO 2024". UEFA. 27 September 2018. ^ a b c "Euro 2024: Tournament to be held in Germany or Turkey". BBC Sport. British Broadcasting Corporation. 8 March 2017. Retrieved 8 March 2017. ^ a b "Germany and Turkey officially interested in hosting UEFA EURO 2024". UEFA. 8 March 2017. ^ "DFB: Deutschland bewirbt sich um EM 2024". europeonline-magazine.eu. 5 November 2014. Retrieved 9 November 2014. ^ "Germany and Turkey receive bid requirements for hosting UEFA EURO 2024". UEFA. 1 May 2017. ^ "UEFA EURO 2024 Tournament Requirements" (PDF). UEFA. ^ "UEFA EURO 2024 Bid Dossier Template" (PDF). UEFA. ^ a b "UEFA EURO 2024: bid regulations" (PDF). UEFA. ^ "UEFA EURO 2024 host announcement". UEFA. 10 September 2018. ^ a b "UEFA EURO 2024 bid evaluation report published". UEFA. 21 September 2018. ^ "UEFA EURO 2024 Evaluation Report" (PDF). UEFA. ^ "Germany Bid Book" (PDF). German Football Association. ^ "Turkey Bid Book" (PDF). Turkish Football Federation. ^ "DFB bewirbt sich um Europameisterschaft 2024" [DFB is applying for UEFA Euro 2024]. DFB.de (in German). German Football Association. 24 October 2013. Retrieved 15 September 2017. ^ "DFB möchte die EURO 2024 nach Deutschland holen" [DFB wants to bring EURO 2024 to Germany]. fussball-em-total.de (in German). FUSSBALL-EM-total. 14 October 2013. Retrieved 15 September 2017. ^ "Deutschland bewirbt sich um EM 2024" [Germany is applying for Euro 2024]. spiegel.de (in German). Spiegel Online. 24 October 2013. Retrieved 15 September 2017. ^ "EM 2024: DFB bewirbt sich um Ausrichtung" [Euro 2024: DFB is applying for alignment]. DFB.de (in German). German Football Association. 20 January 2017. Retrieved 15 September 2017. 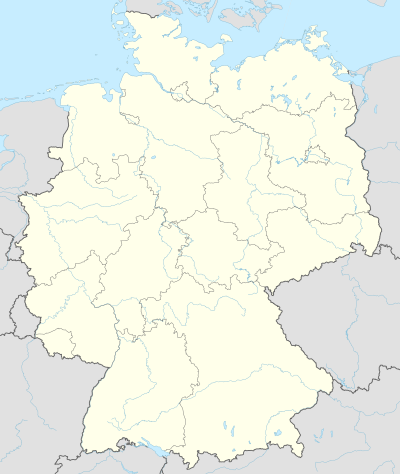 ^ "Germany confirm bid to host Euro 2024 with 10-stadium plan". independent.co.uk. The Independent. 20 January 2017. Retrieved 15 September 2017. ^ "DFB bewirbt sich um Fußball-EM 2024" [DFB is applying for UEFA Euro 2024]. sportschau.de (in German). Sportschau. 20 January 2017. Retrieved 15 September 2017. ^ a b "Grindel hinterlegt Interesse an Ausrichtung der EURO 2024" [Grindel interested in the orientation of EURO 2024]. DFB.de (in German). German Football Association. 1 March 2017. Retrieved 15 September 2017. ^ "EURO 2024: Bewerbungsunterlagen für Städte und Stadien" [EURO 2024: Application documents for cities and stadia]. DFB.de (in German). German Football Association. 22 January 2017. Retrieved 15 September 2017. ^ "18 Städte und Stadien bekunden Interesse an EURO 2024" [18 cities and stadiums show interest in EURO 2024]. DFB.de (in German). German Football Association. 17 February 2017. Retrieved 15 September 2017. ^ "Nationales Bewerbungsverfahren zur UEFA EURO 2024 gestartet" [National application procedure started for UEFA EURO 2024]. DFB.de (in German). German Football Association. 11 April 2017. Retrieved 15 September 2017. ^ "EM 2024: Freiburg zieht zurück" [Euro 2024: Freiburg withdraws]. kicker.de (in German). kicker-sportmagazin. 25 April 2017. Retrieved 15 September 2017. ^ "Bewerbungsverfahren um EM 2024 beendet: Karlsruhe ist nicht mit dabei" [Application procedure completed for Euro 2024: Karlsruhe not included]. regio-news.de (in German). Radio Karlsruhe GmbH & Co. KG. 26 April 2017. Retrieved 15 September 2017. ^ "EM 2024: 15 Spielorte beim Nationalen Bewerbungsverfahren dabei" [Euro 2024: 15 locations in the national bidding procedure]. DFB.de (in German). German Football Association. 26 April 2017. Retrieved 15 September 2017. ^ "Keine EM-Bewerbung von Kaiserslautern" [No European Championship application from Kaiserslautern]. kicker.de (in German). kicker-sportmagazin. 15 May 2017. Retrieved 15 September 2017. ^ "Nationales Bewerbungsverfahren für EURO 2024: Frist verlängert" [National bidding process for EURO 2024: Deadline extended]. DFB.de (in German). German Football Association. 25 May 2017. Retrieved 15 September 2017. ^ "EURO 2024: Zweiter Workshop zum Nationalen Bewerbungsverfahren" [EURO 2024: Second workshop on the national application procedure]. DFB.de (in German). German Football Association. 7 June 2017. Retrieved 15 September 2017. ^ "EURO 2024: 14 Städte und Stadien reichen Bewerbungsunterlagen ein" [EURO 2024: 14 cities and stadiums submit application documents]. DFB.de (in German). German Football Association. 10 July 2017. Retrieved 15 September 2017. ^ "EM 2024: DFB verabschiedet Auswahlverfahren der Spielorte" [Euro 2024: DFB adopts selection procedures for the venues]. DFB.de (in German). German Football Association. 19 May 2017. Retrieved 15 September 2017. ^ "Verfahren zur Auswahl der Spielorte durch den DFB" [Procedure for the selection of the venues by the DFB] (PDF). DFB.de (in German). German Football Association. May 2017. Retrieved 15 September 2017. ^ "EM-Bewerbung: Städte unterwerfen sich der UEFA" [European Championship bid: Cities submit to UEFA]. NDR.de (in German). Norddeutscher Rundfunk. 19 September 2017. Retrieved 15 November 2017. ^ "Stellungnahme des DFB" [Statement by the DFB]. DFB.de (in German). German Football Association. 19 September 2017. Retrieved 15 November 2017. ^ "DFB-Präsidium legt Spielorte für Bewerbung um EURO 2024 fest" [DFB executie committee sets venues for EURO 2024 application]. DFB.de (in German). German Football Association. 15 September 2017. Retrieved 15 September 2017. ^ "Das Ranking der Bewerberstädte" [The ranking of the candidate cities] (PDF). DFB.de (in German). German Football Association. September 2017. Retrieved 15 September 2017. ^ "Teamquartiere für EURO 2024 gesucht" [Team base camps for EURO 2024 wanted]. DFB.de (in German). German Football Association. 15 August 2017. Retrieved 15 September 2017. ^ "Ausschreibung Team Base Camps im Rahmen der Bewerbung des DFB als Ausrichter der UEFA EURO 2024" [Invitation of tenders for team base camps within the framework of the DFB's application as host of UEFA EURO 2024]. DFB.de (in German). German Football Association. August 2017. Retrieved 15 September 2017. ^ "Aim, shoot, score: Your 2024 bid logo!". jovoto.com. Jovoto GmbH. 25 August 2017. Retrieved 15 September 2017. ^ "EURO 2024: DFB startet Design-Wettbewerb fürs Bewerbungslogo" [EURO 2024: DFB launches design competition for the application logo]. DFB.de (in German). German Football Association. 24 August 2017. Retrieved 15 September 2017. ^ "EURO 2024: Fans wählen Bewerbungslogo auf FUSSBALL.DE" [EURO 2024: Fans choose application logo on FUSSBALL.DE]. DFB.de (in German). German Football Association. 15 September 2017. Retrieved 15 September 2017. ^ "Letzte Chance: Fans wählen EM-Bewerbungslogo auf FUSSBALL.DE" [Last chance: Fans choose European Championship application logo on FUSSBALL.DE]. DFB.de (in German). German Football Association. 22 September 2017. Retrieved 15 November 2017. ^ "EURO 2024: Logo-Voting ist beendet" [Euro 2024: Logo voting is over]. DFB.de (in German). German Football Association. 22 September 2017. Retrieved 15 November 2017. ^ "EURO 2024: DFB stellt Bewerbungslogo vor" [Euro 2024: DFB presents application logo]. DFB.de (in German). German Football Association. 7 October 2017. Retrieved 15 November 2017. ^ "DFB stellt Slogan der EM-Bewerbung vor" [DFB presents the slogan of the European Championship bid]. DFB.de (in German). German Football Association. 14 November 2017. Retrieved 15 November 2017. ^ "Germany officially submits UEFA EURO 2024 bid book". UEFA.com. 24 April 2018. ^ "EURO 2024 adaylık bilgilendirme toplantısı Çarşamba günü yapılacak". Turkish Football Federation. ^ "Turkey announces EURO 2024 bid". Turkish Football Federation. ^ a b "EURO 2024'e aday şehirler belli oldu" [Candidate cities to host EURO 2024 are announced]. TFF.org (in Turkish). Turkish Football Federation. 20 October 2017. Retrieved 20 October 2017. ^ a b c d e f g h i j "stadiums list (p. 50), Turkish Football Federation UEFA EURI 2024 bid brochure". tff.org. 26 April 2018. ^ "TURKEY UEFA EURO 2024 CANDIDATE - SHARE TOGETHER". www.euro2024adayiturkiye.com. ^ "Turkish Football Federation submits bid book to host UEFA EURO 2024". UEFA.com. 26 April 2018. ^ "DBU går efter EM-værtsskab". ^ "Nordic nations combine for Euros 2024/28 bid". 4 April 2016. ^ "Nordic nations scrap Euro24 bid plans leaving Germany and Turkey to battle it out". Inside world Football. 1 March 2017. ^ "Estonia wants to hold Euro-2024 together with Russia". ^ "'Nederland kandidaat organisatie EK 2024' - Sport - de Volkskrant". This page was last edited on 28 November 2018, at 11:26 (UTC).